Want A Tattoo? Pros, Cons, And What You Didn't Know About Removal! As much as I wish I could say, 'Oh, to heck with it! Get a tattoo...!' I know this is not a reality. Here's how a tattoo comes to be and the not much talked about reality of tattoo removal. You may be surprised! Laser treatment is the most common method of tattoo removal. Ask your dermatologist to find a laser treatment center. Don&apos;t expect less than 5 sessions for laser tattoo removal. Maybe I was just a little artistic, but growing up, I always drew myself wearing a female-shaped version of Aladdin&apos;s costume, a superhero cape, and full-sleeve tattoos on my arms. I&apos;m sure other little girls saw themselves as princesses or as moms, but I saw myself as some sort of multimedia heroine, and I&apos;m not so sure I ever outgrew this image. I got my first tattoo, a small and tasteful image of a running foot on my right ankle, when I was eighteen. Because running had changed my life, I felt like this was an appropriate tribute to the sport. Besides, the tattoo was easy to cover with a sock, and I knew it would make no impact on my future prospects. And that tattoo has not. However, other tattoos can impact one&apos;s prospects in career fields. Her First Tattoo When She Was 18. Many jobs, especially those in the public service industry, have strict aesthetic regulations regarding tattoos. Visible tattoos, for example, are not allowed (or are allowed under certain guidelines) in fields such as teaching, forest service, or certain military/police operations. Believe me, I find this to be as unfair as many of you do: why should we say "do not judge based on the color of a person&apos;s skin?" yet we can feel free to say, "But DO judge based on the COLORS of a person&apos;s skin?" If I wanted to, I am sure I could come up with some counter-arguments to my position. 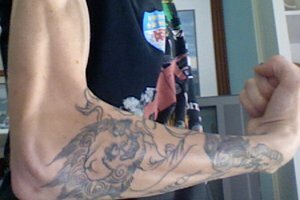 Tattoos are often associated with gangs or prisons, and some tattoos show images that may be offensive or inappropriate for certain people. Also, older generations have less respect of tattoos than some younger ones simply because tattoos were not as prevalent before as they are now, so there exists a certain degree of misunderstanding. As much as I wish I could say, "Oh, to heck with it! Get a tattoo if you want one! You&apos;ll make a way!" I know this is not a reality. So what I want to tell you all about is something you may not have experienced, but I think that you need to know about; Tattoo removal. Why do I feel this is an appropriate topic for a bodybuilding forum? Well, many bodybuilders do have tattoos, and tattoos can be distracting for judges trying to see a builder&apos;s physique. 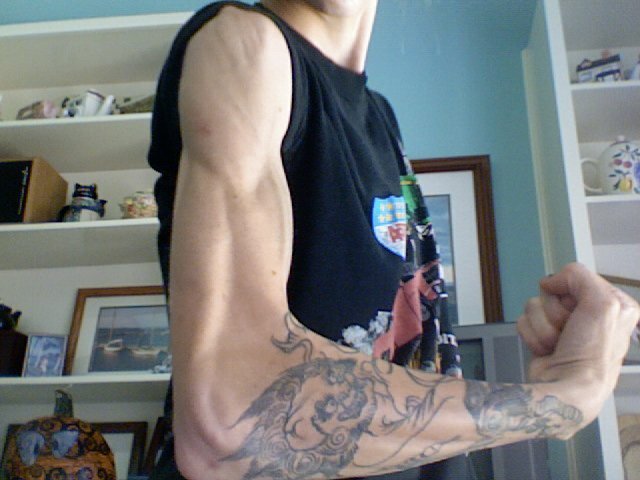 The tattoo may obscure the natural contours and shadows created by muscular development. I am sure that there are bodybuilders out there who have considered tattoo removal. And there are probably aspiring builders out there who have considered getting a large tattoo. "I created this group so people can show off the hard work they have done. We love the human body and the art we put into it." With this being said, I want to make sure all of you know just what removal entails, that way you can make an educated decision about whether or not to get your tattoo, and if you already have it, whether or not to remove it. I will not include images, but I am going to describe in full detail what I have gone through, because I feel that you need to understand in order to really appreciate body art and prepare yourself. First of all, let&apos;s talk about what a tattoo IS. 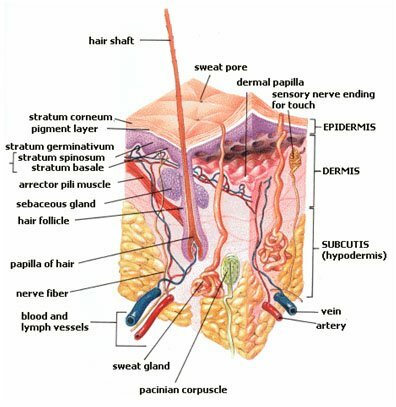 Your skin has many layers. 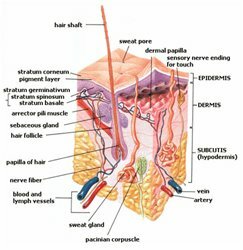 The external layer is called the epidermis. It&apos;s the part that gets sunburns, scabs, etc. Beneath that is a layer of capillaries and blood vessel endings, as well as some fluid and fat. And beneath this is your dermis. That is a layer of tissue. When you get a tattoo, the tattooist uses a needle to place ink into your dermis. So even if you injure your epidermis, the dermis (and your tattoo) remains intact. Thus, your tattoo is permanently in your body. Sure, over time, the body recognizes the ink as foreign and tries to dispel it. This is why many tattooed people get their work "touched up." But the ink is always there, beneath your skin. When it comes to tattoo removal, there are several options available. Let&apos;s talk about them. There are the ever famous "tattoo creams." I did not try these and I would not recommend spending money on them, simply because a cream is applied to the epidermis, and I can&apos;t see any reason why it would impact your dermis significantly enough to merit spending money on it! There is also the method called "incision." For small tattoos, I think this sounds very plausible. Essentially, it is like removing a tumor. A surgeon "cuts out" the tattoo and then sews the skin up over the area. Of course, it will leave a scar, but it is a "one stop removal option" and would have a very successful outcome. There are also the "abrasion" methods. Many DIY removers try this using things like pencil sharpeners or sanding blocks. 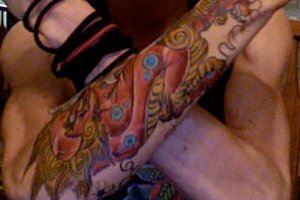 What they do is try to rub off the epidermis and fat layers as well as the dermal layer in order to get rid of the ink. While it could be successful, the risk for infection is high, and it also sounds rather risky in terms of blood loss! I would NOT recommend this. Laser treatment is the most common method of tattoo removal. It is expensive, but compared to the other options, the best available. Laser treatment essentially sends a bright light through the upper layers of your skin to break up the ink in the dermis. 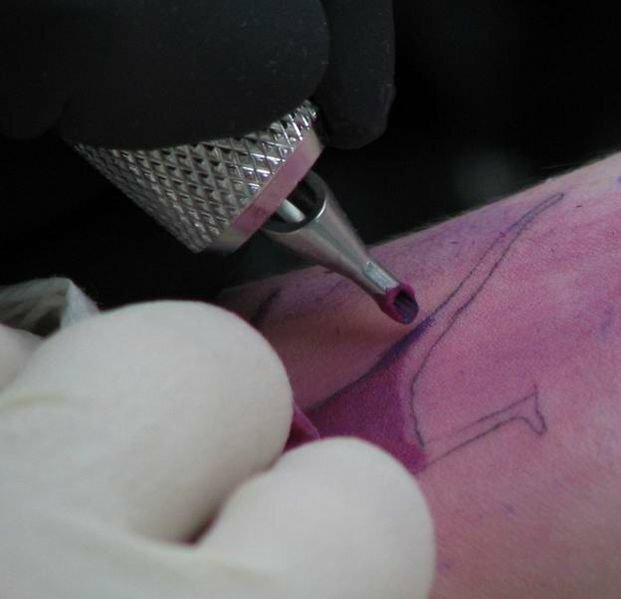 Then, your body "eats" the small droplets of ink, resulting in permanent removal. However, since light has a wavelength and frequency, as does color, several treatments with different lasers must occur in order to break up all of the colors in the skin. Let&apos;s now talk about how to go about laser treatment and what to expect. The best way to find a laser treatment center is to ask your dermatologist. Don&apos;t have a dermatologist? Look on your insurance&apos;s plan and find one, then call him or her and set up an appointment so they can assess your tattoo and make a recommendation. Most laser treatment centers are associated with plastic surgeons. This means that it WILL NOT be covered under your insurance. However, don&apos;t just choose a center because it is cheap. You want to get a laser technician who knows what is going on, and also one who has very up to date equipment, because this will mean you will have a safer experience, and you will also undergo less sessions. Less sessions = less money. Aha! You like the way I think! [ Click To Join The Thread. ] Removing A Tattoo. A while ago my friend gave me a free tattoo to show a potential employeer his skills. Well, turns out I am aleric to some pigment in the red ink. Now, call that laser technician and set up a consultation. You will go in, and they will look at your tattoo to assess the time each removal session will take, how much it will cost, and how frequently you will return. Do not expect to pay less than 250$ per session, and do not expect less than 5 sessions. This has happened before, but generally you&apos;re looking at a cost of over 1000$ for the removal of the tattoo. If it goes away faster, then good for you, but expect that it&apos;s going to be expensive. I hope you are pleasantly surprised. The doctor may prescribe for you a numbing cream. Now, remember, nothing about this procedure is covered under insurance, so if you want to get a numbing cream, you are going to be paying for it. That being said, I would do it if I were you. If your tattoo is large enough, they may even put you under some anesthesia. Again, remember: you don&apos;t have any financial support on this one, so it is your decision. Anesthesia has traditionally meant the condition of having sensation (including the feeling of pain) blocked or temporarily taken away. This allows patients to undergo surgery and other procedures without the distress and pain they would otherwise experience. Let me tell you very exactly, and this comes from the perspective that you have not taken any numbing cream or pain reducing medicine. You will go in and be seated in a chair very similar to a dentists chair, where the technician will give you a set of glasses and prepare an instrument that looks like a cross between a nerf gun and a ballpoint pin. The first laser they will use will be the "black" laser. Yes, this laser is designed to break up black ink... good job. They will tell you that they are going to do a "test area" so you can get used to the feel. The best way I can describe the black laser is that it works like a spray paint. If you just spray one area continuously, it intensifies, or you could spray multiple areas and get better coverage but less intensity. The black laser sounds like a cap gun being fired continuously. The feeling, however, is completely different. Have you ever cooked something hot in oil and then had the oil jump out of the pan onto your skin? It feels exactly like that, only it is continuous pain, not just a little burst. Exclusively formulated to protect your skin from sunburn while preserving the life and color of your tattoo. This extra wide stick is always handy and ready to protect. When they first fire it onto your skin you will smell a lovely smell of your skin burning and your hair singing off. I would recommend you shave whatever area that you are going to have laser treatment done on, because this is very nauseating. As the technician does the area, you will notice that your epidermis is peeling off and turning white. The pain from the black laser is enough to make you physically sick. Make sure that you use the restroom before you attend the session, because if you do not, and you have a lot of area to remove, you may find yourself getting ill in the chair. I have found that my tolerance for the black laser had to occur in areas about the size of a matchbox, followed by about 20 seconds rest. By the time the black laser treatment had finished on me, I was sweating profusely and I looked like I had just eaten an entire tub of NO-Xplode. One plus of removal - you will get way vascular for a few minutes. Assuming you have a color tattoo, the next removal will come in the form of the blue laser. Compared to the black laser, the blue laser is not as bad in terms of pain. It feels, and sounds, like a rubber band breaking against your skin. One difference in it is that instead of being like spray-paint, it is more like that rubber band; it cannot cover great areas at one time. Instead, the technician has to "fire" it like a gun, and each fire gets an area about 1/2 the size of a hole-punch. One interesting thing about the blue laser is how your body reacts to it. It, for some reason, bursts the capillaries under the skin. So every fire results in you having these little "under the skin" scabs. They look sort of like mini rug-burns, and they feel about the same. The final laser is the red laser. The red laser is like a party compared to the black and blue lasers. I think its pain is similar to "getting your ears pierced." That is, it is not very painful at all. [ Click To Join The Thread. ] Tattoo Thread. I would like to start a thread where we can have Q/A about tattoos and meet other people into tattoo&apos;s and share ideas. When it hits your skin, it will cause the skin to rise up like a little mountain. It also "fires" like the blue laser. Additionally, you will have to wear a different pair of protective glasses for the red laser, as it emits a different colored light. Now the really fun part comes after the treatment. You will be in significant pain, and the technician will send in a nurse to put cooling bandages on your tattoo, and to wrap it in saran wrap and medical gauze. It will begin to swell. We&apos;re not talking about a little swelling here, either. I am speaking of "it will swell to about three times its previous size" swelling. After about four hours, you will need to remove the bandages and change them out, because your swelling will have increased so much that the wrap will cut off your circulation. The nurse will probably also send you home with some sterilized needles and Neosporin. These are crucial. Have You Ever Had Laser Treatment For Tattoo Removal? After about twelve hours, you will notice that your swelling is profuse, and that between your bandages, little "pockets" of blood are coming up. You must remove the bandages and drain all of these pockets using the needles. Then cover the whole thing in Neosporin and put on fresh bandages. This will occur for the entire first week, and the swelling will not subside. You may need an antibiotic to combat infection, like I did. After about a week, the swelling should subside (if it doesn&apos;t, please get antibiotics! You are at risk for infections!) to a degree, and the blistering will cease to blood filled and start to be water filled. Your body is removing the water it has been drawing the swollen area. Continue to drain the blisters. Also, after all of this draining, you will notice that your skin is peeling off. You need to remove the dead skin so that it does not become infected. During this initial period, you cannot "soap and water" the area, but keep it as clean as you can with Neosporin and clean bandages. Also, do not expose the area to direct sunlight. After a few weeks, you will notice the following changes: The black areas will get much lighter, and begin to "melt together." The blue areas will become speckled with sections of "whitish-blue" (where the laser fired). And the red area will rise up and turn into lovely pink scar tissue. [ Click To Join The Thread. ] Tattoo Removal? Anyone know anything about tattoo removal options and what works? When your return for more treatments, each time, your tattoo should be transforming into "flat, light areas" (black), "white areas" (blue) and "scar tissue" (red). I have been informed that after the treatments are complete, the skin will be much like the skin on your hinny, and that it will be very white, but after a few years, it should return to normal with minimal scarring. As you can see, tattoo removal is a long, unenjoyable process, and one that people don&apos;t consider before getting a tattoo! So my advice to you is... if you know you want a tattoo, be sure you also know that if you want to get rid of it, the process will not be fun. Remember, just because you love tattoos doesn&apos;t mean that everyone else does, and like it or not, everyone else includes people who hire you, judge you, and make first impressions of you. I&apos;d like to say that the world isn&apos;t vain, and that we can&apos;t judge people on how they look, but if I said that, I guess I wouldn&apos;t be into bodybuilding, now would I? So approach your ink with caution, and remember, just like decorating your house, putting the decorations up is fun and easy, but taking them down is a whole different ball game. Approach Your Ink With Caution. Cristina loved sports but eventually had to stop for health reasons. She will be sharing what she knows right here.